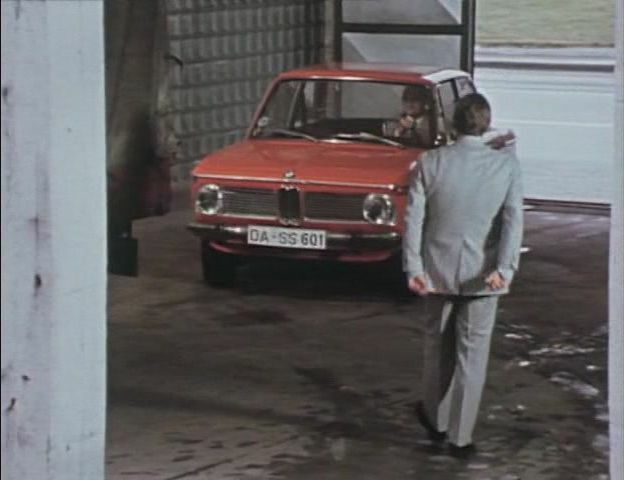 IMCDb.org: 1971 BMW 1602 in "PS - Geschichten ums Auto, 1975-1979"
Faked plate, with a forbidden combination (SS). badge says 2002. 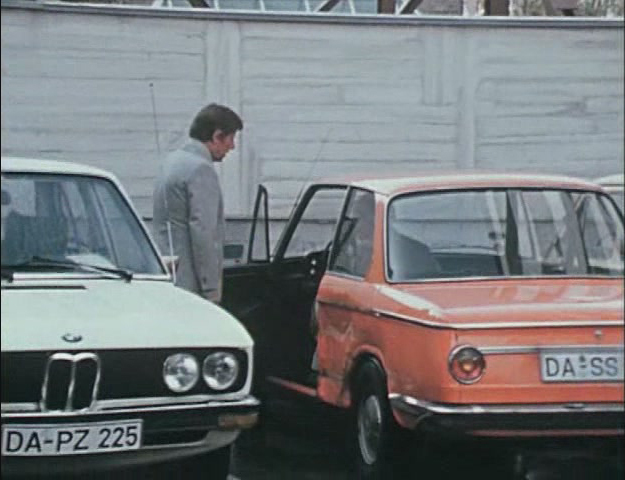 Rear bumper and side slats are 1971, but the front indeed looks for the one of the older type. But there were some slided through. In my parent's village there was a blue Polo[86C] with H-SS 33. My plate-fellows have more evidences in their collections, also with SA, KZ and NS. It's to admit, that there's no really consistence over all counties and towns with that. As it's orange, I would say around 1972. Probably 1602, as it was most common. Something about certain combos banned because of Nazi relations. Simple error in translation. I did think you were kidding, but I wasn't too sure, So I took a chance. This one has head restraints also. Indeed - it makes some difference.